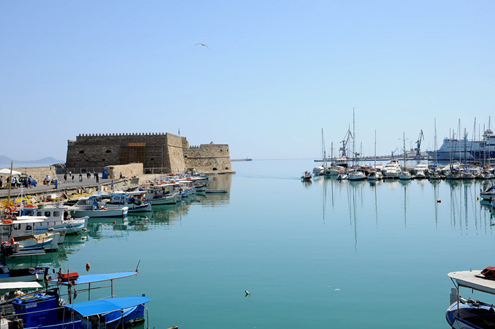 Known today by its Turkish name, Koules, the Venetian Fortress of Rocca al Mare, dominates Heraklion’s (Iráklion) harbor. 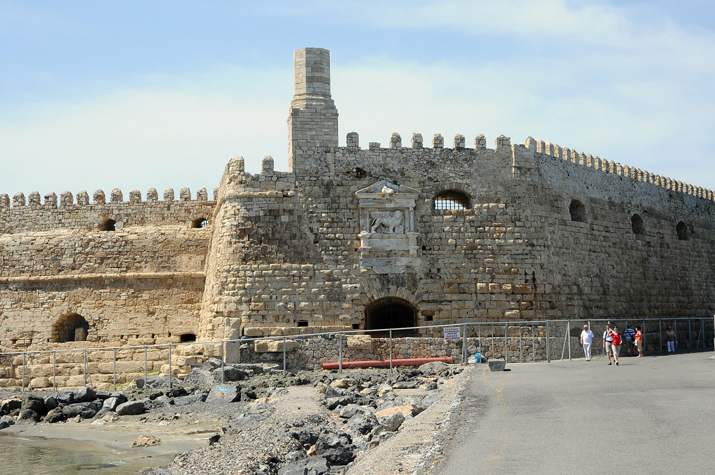 The massive structure, built by the Venetians in the 13th century, once served to protect the entrance to the port. 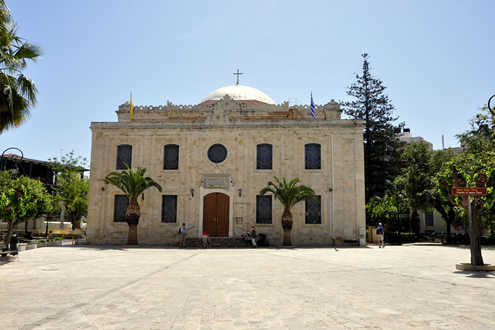 Converted from a mosque to a church in 1923, Heraklion’s Saint Titus Church is dedicated to Crete’s first bishop and protector of the island. The skull of Saint Titus is preserved inside. 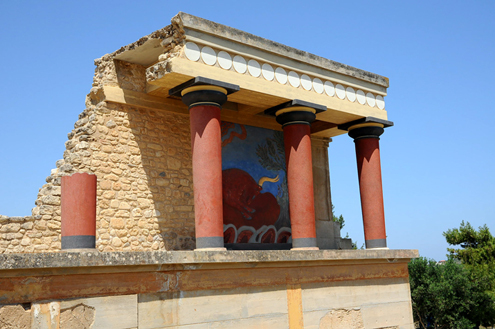 The ancient Palace of Knossós, just southeast of Heraklion, was home to one of Europe’s oldest civilizations, the Minoans. 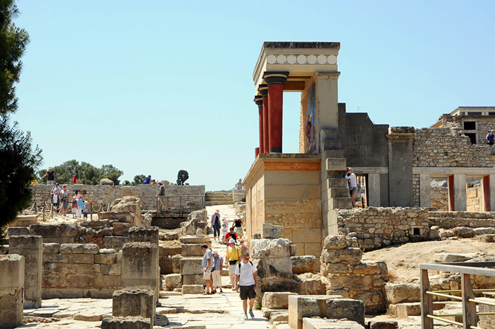 The palace was the main center of politics and culture in Crete from around 2000 to 1450 BC (as well as home to the legendary King Minos and the famed Minotaur). 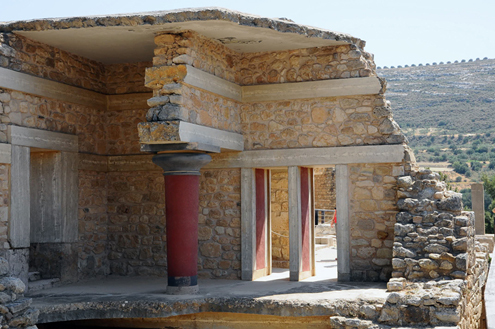 The massive residence consisted of about 1400 rooms, some of which have been reconstructed by British Archaeologist Sir Arthur Evans, who discovered the palace in 1900. 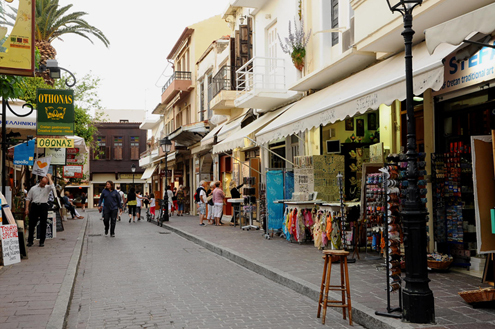 Chaniá, located along the north coast of the island, is divided into a modern city and an old town district. We spent much of our visit walking around the historic old town and strolling along its picturesque Venetian harbor, but did venture into the city center for a wander through the impressive, indoor municipal market (Agora). 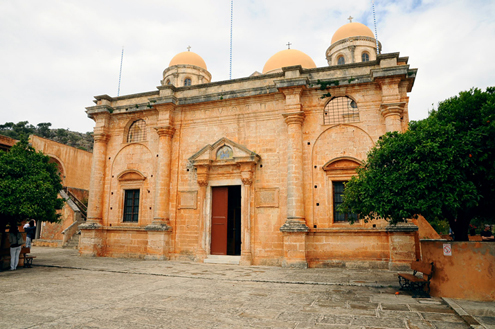 Built in the 17th century, the tranquil Holy Trinity Monastery (Agiá Triáda Monastery), located in the Chaniá regional unit on the Akrotiri peninsula, is one of the main historical monuments on the island. 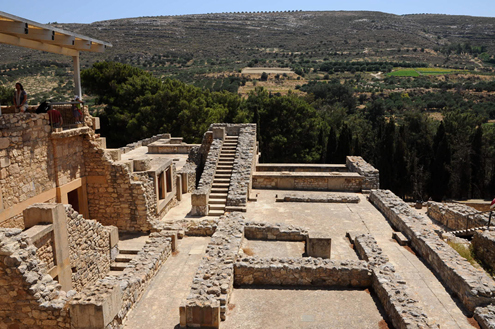 The Monastery is well-known for the wine and olive oil it produces and sells. 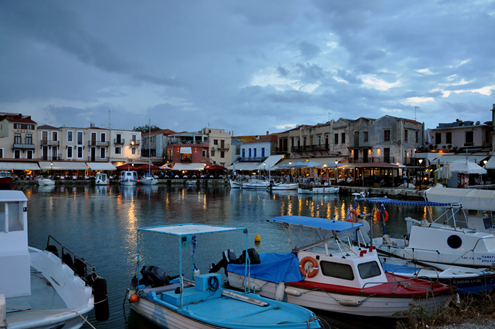 The atmospheric old town of Réthymno, bares some resemblance to Chaniá’s old town, only smaller. 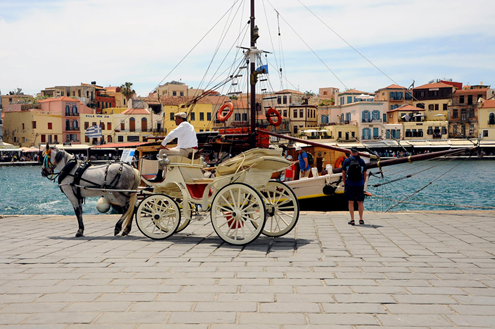 It is considered one of the best preserved old towns in Crete. 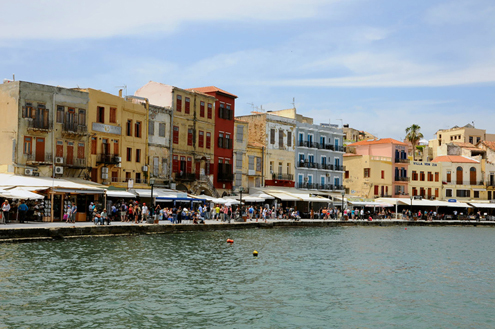 Its beauty, charm, and sense of tranquillity, along with its lovely Venetian harbor is a wonderful place to relax and enjoy a meal at one of its many seafood tavernas. 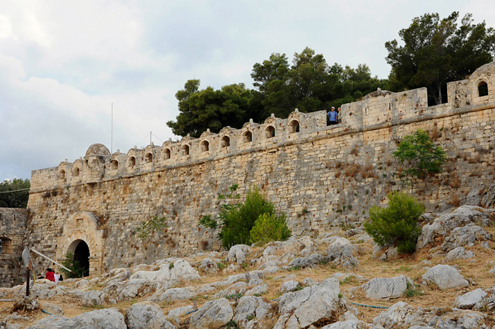 The massive walls of the 16th century Venetian fortress, Fortézza, dominate the city of Réthymno. Through decades of ongoing restoration work several buildings have been restored. 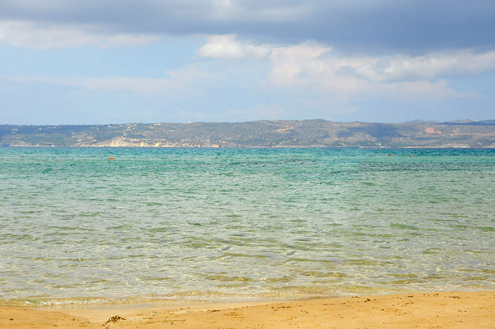 One of Crete’s lovely beaches. And that concludes our Cretan holiday….sandy beaches, beautiful mountains, delicious food, unique history, and pleasant people. Sas efharistó, Crete!